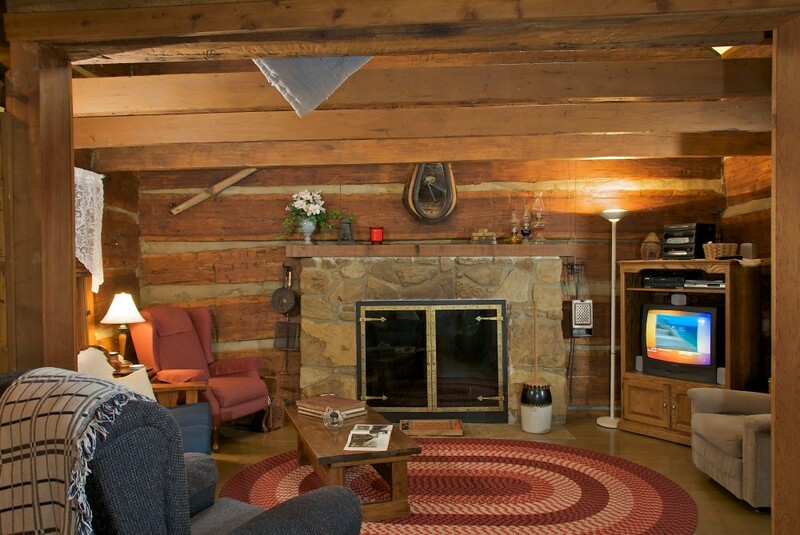 Come enjoy some quiet lake time at Lake Hideaway Log Cabin. 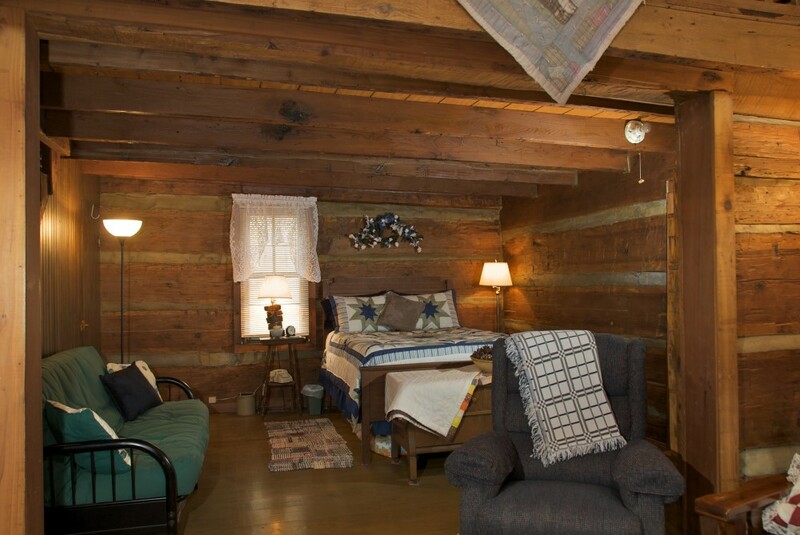 This quaint log cabin was originally built in the 1800's and has been renovated to meet today's standards and conveniences. You will be immediately drawn to the large fishing lake behind the cabin. Over two acres, this private, fully stocked lake is every fisherman's dream! Its beauty and tranquility are breath taking. Come sit on the dam and cast your line - the fish are biting! Whether you have come to catch some catfish, bluegill and bass, or just come for a taste of nature. Springtime is beautiful. Lake Hideaway will have you returning year after year. Nestled in the woods, far away from any roads or outside noises, Lake Hideaway's only neighbors are the deer, birds, and other wildlife you may see on a nature walk. Smack dab in the middle of 50 acres, and surrounded by trees, privacy is yours for the taking. Once you enter Lake Hideaway, you will see the beautiful oversized logs in the eat-in kitchen. This fully equipped kitchen is one of the largest rooms in the cabin, allowing for more than one cook. Just off the kitchen is a newly renovated full bath. The living room offers a spectacular gas fireplace and a television with satellite. The cabin also provides a large collection of books for your enjoyment. Is there anything more relaxing than reading a good book by a fireplace? Also, just off the living room is an open bedroom with a full sized bed and a futon perfect for little ones. As you head upstairs to the open loft, you will find a queen sized bed. The ceiling is low, so watch your head! As you go out the back door just off the living room, you will enter the sunroom overlooking the oversized lake. This is a fantastic spot to eat your lunch, or simply enjoy the many birds that flock to the bird feeders. Just outside the sunroom is a grassy area with a picnic table and dinner bell. What a view, overlooking the lake, and further, looking into the woods, nothing to stand between you and the many wonders of nature. 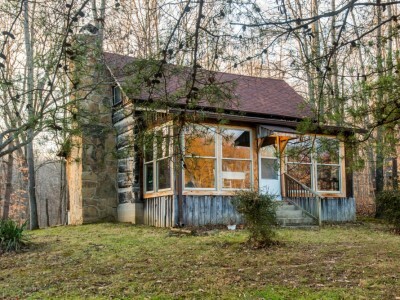 Lake Hideaway is only 15 minutes to downtown Nashville, yet one of the most secluded properties in Brown County. Come see why Lake Hideaway is not only a special place, but a truly special experience.